In keeping with the best financial goals to have this year, we can’t forget to talk about life insurance. The problem with getting life insurance is that it’s a bit morbid. The investment you’re making isn’t one that you’ll actually be able to use or benefit from directly. However, it’s still a financial necessity to ensure that your loved ones and family are taken care if anything happens to you – and it gets hard to find term life insurance quotes for over 80, so it’s always best to make the arrangements much, much earlier. Here are some baby steps you can take to make investing in life insurance a reality this year. Think About Your Health: Gen Xers and Boomers, the two generations closest to retirement, don’t feel particularly prepared for their financial futures according to a survey released today by John Hancock. They view both health and wealth as critical aspects to their overall wellbeing, and believe they could make improvements in each area. There are so many life insurance companies that don’t require health background checks or other personal information. However, these companies aren’t the best ones to put your trust in. Look for a life insurance company that does have a health checkup because they’re more likely to have better upfront costs and after death benefits. If your health is poor, then pursue better health to save even more on these life insurance policies. This is easier said than done, but wouldn’t you rather lose 30 pounds, be taken off your blood pressure medication, and have a lower life insurance premium? John Hancock’s life insurance with Vitality, introduced in April 2015, gives consumers the opportunity to significantly save on their premiums and earn valuable rewards anddiscounts—simply by living a healthy life. Don’t Make It An Investment: Get life insurance as insurance, not as an investment. In many cases, it’s recommended to buy term life insurance over whole life insurance, especially for young adults. It’s cheaper and should give you enough coverage. Figure Out How Much Insurance You’ll Need: How much money will your loved ones need after you die? Think about your current bills, the cost of funerals, and your spouse and children’s future needs. Even though you may feel healthy and think you’ll live until retirement age, it’s better to think of the worst scenario now and prepare for it with the right level of term life insurance. If you don’t have anyone that depends on you, or if no one will be left having to pay for your funeral, or if your employer offers a good life insurance package, then life insurance may not be right for you. Budget for Insurance: The easiest way to pay for life insurance is through your work benefits. If the cost is taken out of your paycheck before you see it, chances are, you won’t miss it. The cost of term life insurance is quite affordable, yet many people have trouble parting with the $200-400 a year. Think of it this way – the cost is so low, if you can save just $20/month, you’ll be able to pay for most term life insurance plans. I understand it’s hard to pay for something that doesn’t feel like an immediate need; it’s the same for any insurance. No one likes paying an extra $100-300 a month for car or health insurance, especially when you haven’t had an accident or had to see the doctor in years. However, it’s the one time that something bad does happen that you’re thankful for your insurance. When it comes to getting term life insurance, it’s better to have it then be without it, especially if you have dependents. Do you have life insurance? 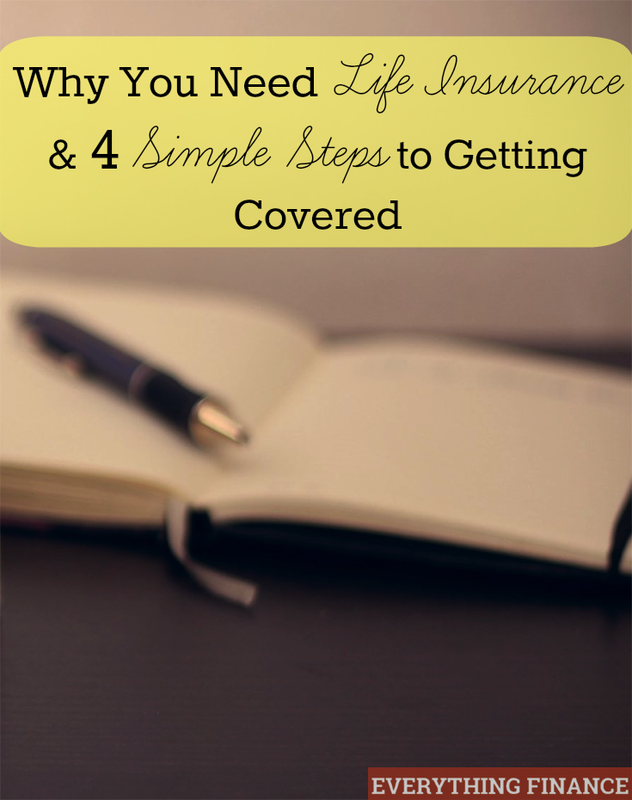 Do you know if you have enough coverage for your family?